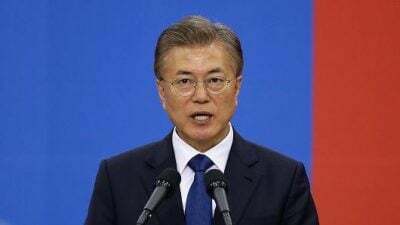 President Moon Jae-in of South Korea has played a vital role of mediation for three Seoul-Pyongyang summits and two Washington-Pyongyang summits. Owing to these summits, on the Korean peninsula, there are no longer nuclear tests; we see no more ICBM launching; North Koreans are free now from the threats of annual joint military exercises; the DMZ is now demilitarized. However, according to recent information including the revelation by Choe Son-hui, Vice Minister of North Korea’s Foreign Ministry and other sources, the real reason of the collapse of the Summit was something much more serious. Before the summit, there was an agreement among the official negotiation teams that the “small deal” was to be signed by the two leaders. The “small deal” meant that North Korea would dismantle the Yongbyon nuclear facilities in exchange of the lifting of the five UN sanctions which have prevented the inflow into North Korea of daily necessities vital for the very survival of North Korean citizens including the medicines for children. However, at the extended summit late morning of the 28th of February, the National Security Advisor John Bolton came into the summit room with a yellow envelop in which the content of the “big deal” was supposed to be found. For the sake of the big deal, Pompeo and Bolton would have compelled Trump not to sign the “small deal” agreement. Now, the big deal package would ask far more than the dismantlement of the Yongbyon nuclear facilities which represent 80% of North Korea’s nuclear capacities; the big deal would require the elimination and shipping of all nuclear weapons to the United States and elimination of all nuclear materials as well as the destruction of all chemical and biological weapons. In addition, the experts of nuclear products should be permanently assigned to jobs unrelated to nuclear products. In other words, the big deal would deprive North Korea of all means of self defence. In short, what Bolton and Pompeo demanded was the application of so-called the Libya model leading to the total destruction of the country. Bolton and Pompeo surely knew that North Korea would never accept such an unrealistic demand. Then, we must ask why the Libya model? The answer is this: there is a powerful force in the U.S. who is against denuclearization of North Korea; it asks Pyongyang to accept the Libya model knowing very well that Kim Jong-un, especially his generals, would never accept it. What this force wants is the perpetuation of the state of war on the Korean peninsula leading to regime change. Who are behind this powerful force? It is now a common knowledge that there are pro-war oligarchs in Washington including defence industry, the military and the intelligence establishment; these oligarchs are supported by think tanks and corporate media fatly funded by the oligarchs. But, these oligarchs cannot be permanent; they can vary in composition depending on political power; there must be a force much stronger and more deeply rooted in the U.S. and other countries of the West; it could be the “Deep State”, the dark and almighty global financial system created a few hundred years ago to dominate the world. Pyongyang now knows what the dark force behind the Washington hard-liners wants and what Trump hopes to get. This powerful anti-denuclearization force represented by Bolton and Pompeo want to maintain the state of war on the Korean peninsula. Nonetheless, Pyongyang and Seoul believe, at least, try to believe that Trump is sincere in lifting the sanctions and helping North Korea to become a ” normal country” in exchange of ” reasonable denuclearization”. As for Kim Jong-un, he is expected to announce soon his peace plan in the light of what has happened in Hanoi. He may consider three options. First, he may stick to the “small deal” consisting in gradually getting rid of Yongbyun nuclear related facilities in exchange of corresponding lifting of the five sanctions. Second, he may accept a modified “big deal” comprising the dismantling of the Yongbyon nuclear facilities plus the elimination of nuclear weapons and even some of the ICBMs. Third, if the pro-war force in Washington insists on the Libya model, North Korea will give up its peace dialogue with Washington; it may try to form a sort of economic bloc with Russia and China. President of South Korea, Moon-Jae-in will visit Washington for a summit with President Trump. Moon may give himself two missions. First he is expected to strengthen the mutual trust between Pyongyang and Washington. Second, he may give himself the task of proposing a “reasonable” denuclearization acceptable to both North Korea and the U.S.
At the beginning of the peace dialogue, there was surely strong mistrust partly because of the lack of sincerity, mainly on the part of Washington. But, North Korea trusts Moon, for he has been promoting the North South dialogue and cooperation since 2000, especially since 2003 while serving as chief of staff of President Rho Moo-hyun who carried out the “Sunshine Policy” initiated by his predecessor, President Kim Dae-jung. For last two years, Moon has been developing warm relations with Trump and this has made Trump to rely on Moon to check the reliability of North Korea’s statements. Moon’s trust-mediation would have contributed to trust building between Pyongyang and Washington. Furthermore, the good “chemistry” between Kim and Trump would have been another factor for the dissipation of mistrust between the two countries which had been enemies for seventy years. But, Moon’s trust-building efforts may become useless, if the pro-war establishment represented by Bolton and Pompeo keep on creating mistrusts regarding North Korea. This leaves three options to Moon. First, ask Bolton and Pompeo to persuade their “real boss” to abandon the idea of regime change in North Korea. Third, Moon could suggest a compromise between the “small deal” and the “big deal”; that is, Moon should come up with a “middle deal”. The small deal is what Kim proposed to Trump at the Hanoi Summit consisting of dismantling of the Yongbyun nuclear facilities in exchange of the removal of the five U.S.-led sanctions. The Big deal is the Libya model. It is not the job of Moon to specify the contents of the middle deal. But, it must be based on some principles. First it must not deprive North Korea of its capacity of defending itself as a normal country. Second, it must be a sequential process in which each step of denuclearization activities is matched by corresponding sanction lifting. The probability of Moon’s success in Washington depends on the how Moon will be able to do the following. First, Moon should tell the Americans that the role of South Korea is not merely the mediation between Pyongyang and Washington. The denuclearization is as much South Korea’s issue as it is the American problem. Moon should let Washington to remember that South Korea is a partner of Korea-US security alliance; the U.S. should respect the interest of its alliance partner. South Korea does not want the regime change in North Korea;South Korea wants denuclearization and normal economic development of North Korea. Second, Moon should invest time and resources to convince the Americans that North Korea is not a threat to the U.S. or to any other nation. The pro-war forces in the U.S. have been justifying their hard policy toward North Korea under the pretext that North Korea is a threat to the world. Once the Americans are convinced that North Korea is not a threat, the Washington oligarchs would have difficulty in justifying their hostile North Korea policy. President Moon has a mission impossible; he has too many adversaries who are determined to keep the state of war in Korea. The conservatives both in South Korea and Japan are as much anti-denuclearization as the Washington pro-war oligarchs. In fact, South Korean conservatives are deploying all their resources and efforts to prevent Moon from establishing peace and restoring democracy which has been destroyed by the conservatives; the aim of the conservatives is to make Moon’s government powerless so that they will retake the power in three years. If this happens, the peace process will stop. As for Abe’s Japan, it has been taking measure in order to increase diplomatic friction with South Korea hoping to discredit Moon’s government and increase the probability of South Korean conservatives’ retaking of the power. Thus, the mission of Moon is very challenging; it is near impossible. In fact, he is taking a big political risk. If the peace process succeeds, both North Korea and the U.S. will claim their victory; if it fails, both will blame Moon. But, Moon will continue his mission of peace mediation, because he loves peace and justice.We are grateful for that. He needs the world’s support. To close my thought, I add this. The stake is high; now could be the golden time for the peace process; if we miss it, the state of war may continue in the Korean peninsula; the conservative may come back and the South Korean society will remain corrupted and the regional security in the region will remain shaky. Professor Joseph H. Chung is professor of economics and co-director of the East Asia laboratory (OAE) of the Study Center for Integration and Globalization (CEIM), Quebec University-Montreal in Montreal (UQAM). He is Research Associate of the Center for Research on Globalization (CRG).